Although most IT pros are aware of the benefits that technology integrations promise, many of them are reluctant to take on integration projects. They know all too well that many vendor products simply aren’t designed to be integrated with other systems; the lack of an application programming interface in particular is a huge red flag. 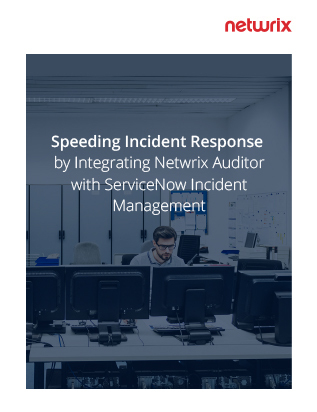 Fortunately, there are vendors, such as ServiceNow and Netwrix, that enable organizations to reap the benefits of integration without having to invest lots of time and money.